Welcome to the new Heat Wagon website! Blog Posts New Heat Wagon Website! 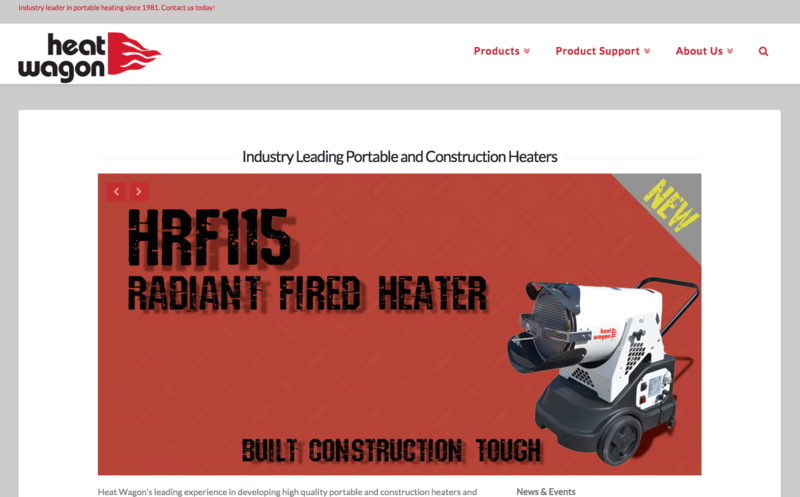 Heat Wagon is excited to unveil our brand new website! This new site will allow our dealers and customers to research any information on the products we manufacture. New features include a fully responsive design that fits to any size screen, integrated blog and enhanced navigational menus and a robust search system so you can type in any part of your question and receive relevant information. We hope you enjoy the new site and we look forward to partnering with you in the future.